Vitamin C is found in numerous fruits and vegetables, including citrus, kiwi and spinach. It is a compound very sensitive to heat and contact with oxygen, so we must take care of the conservation and preparation of these foods. Vitamin C or ascorbic acid is a water-soluble vitamin that the human body cannot synthesize or store and, for this reason, we must obtain it through the food we eat every day. 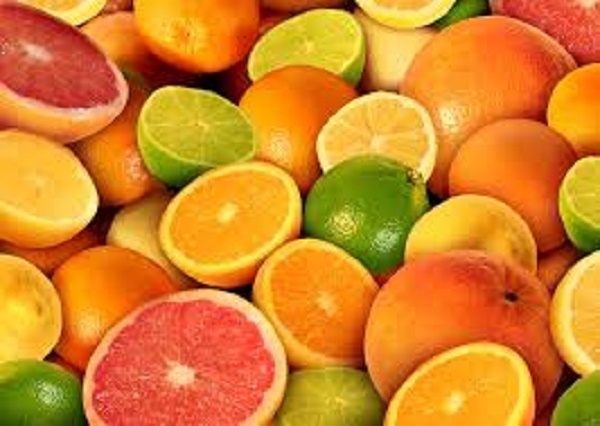 Their finding is associated with the appearance of scurvy, a disease discovered by Scottish naval doctor James Lind, who noted that the introduction of citrus into the diet of sailors prevented and cured the disease in their long journeys by the sea. Nutrition and Health expert says that “the recommendations of vitamin C are estimated around 70-80 mg per day for a healthy adult with a single orange big or a kiwi can reach the daily recommended amount” . According to the nutrition expert, although we always think that oranges and citrus fruits are the most vitamin C they contain, kiwifruit present it in greater quantity. Other fruits and vegetables such as currants, strawberries, tomatoes, green leafy vegetables (spinach contains much more vitamin C than lettuce or cabbage, for example) are also very rich in this vitamin. A lot, the peppers. However, vitamin C is one of the most sensitive, since excessive heat and exposure to oxygen can destroy it, so we must pay attention to the conditions of conservation and the prolonged cooking of these foods. In some situations such as in pregnancy or breastfeeding, vitamin needs are higher than under normal circumstances, exposes Aragon. He adds that this also occurs in elite athletes due to water loss and oxidative processes that increase with very intense sport. In these cases it is recommended to consult a health professional because it could be highly recommended to take vitamin C supplements. As for smoking , you may also require higher doses because smoke snuff and nicotine produced a deficit of vitamin C in the body. There are also some medications that can decrease absorption, as some antibiotics , aspirin or some birth control pills. However, if you suffer from kidney disease, supplements should not be administered because, “although excess amounts of vitamin C are eliminated by the urine, in very high amounts, especially above 2 grams per day, it can cause an increased risk of stones Kidney “, warns the expert. It was long thought that vitamin C is a popular remedy for the common cold , but what does science say about it ? “Research into this claim is somewhat contradictory, the scientific studies being carried out have concluded that the supplements of this molecule neither shorten the duration of infections nor reduce their symptoms,” says experts. In his view, when there is no deficit, taking this supplement will not bring a benefit and can only help treat a cold provided we have low levels of this vitamin. Also, remember that vitamins are needed in very small amounts, so that healthy people who follow a complete diet , varied and balanced, in principle, do not need supplements.